Italianni's do believe that breakfast is the most important meal of the day and so it recently launched an exciting menu to add to its extensive breakfast line-up. Mela Verde Salad - A refreshing mix of romaine lettuce, arugula, mandarin orange, watermelon, peach, dried cranberries tossed in honey balsamic dressing topped with green apple slices. The fruity combination and taste was superb! Pollo e L'uovo Salad - Romaine lettuce, arugula, paprika with ham and chicken are tossed in balsamic Caesar dressing. 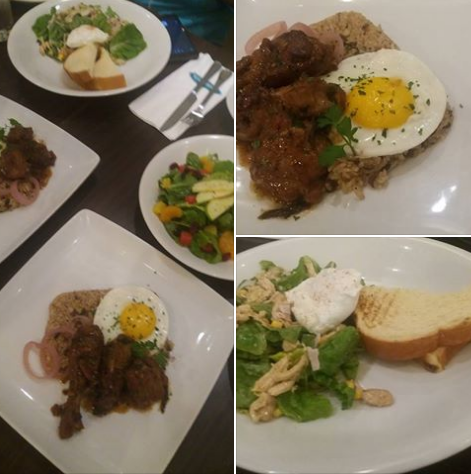 It comes with a runny poached egg and toast. This was a low down for for as it lacked flavor. 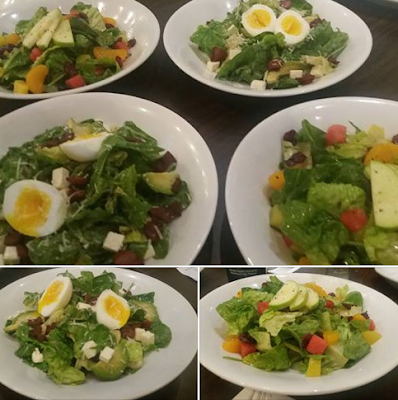 Avocado e L'uovo Salad - Romaine lettuce, arugula, avocado, goat cheese, crispy fried panchetta and parmesan cheese are tossed in balsamic Caesar dressing topped with soft boiled egg. I so love goat cheese and avocados combination that make this salad extra creamy. This is the best among the 3 salad varieties I tasted that day! 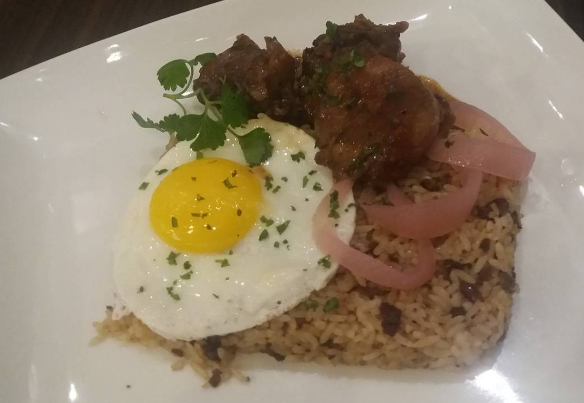 Pollo Zenzero - Savory chicken teriyaki with tapa rice and sunny side up egg. It tasted similar to a Chinese-style adobo that is sweet and salty in flavor. Velluto Rosso Pancake - is a three-layered red velvet button pancakes topped with whipped cream, blueberries and powdered sugar with mixed fruits on the side. 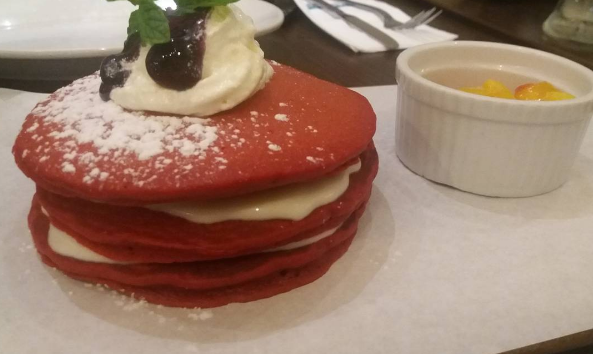 Other than its rich velvet color, it would pass off as ordinary pancakes. but subtle flavor. I was looking for the buttery taste and creaminess of a real red velvet cake. French Toast ala Suzette - French toast topped with mixed fruits with 2 pcs. bacon and sunny side up egg. 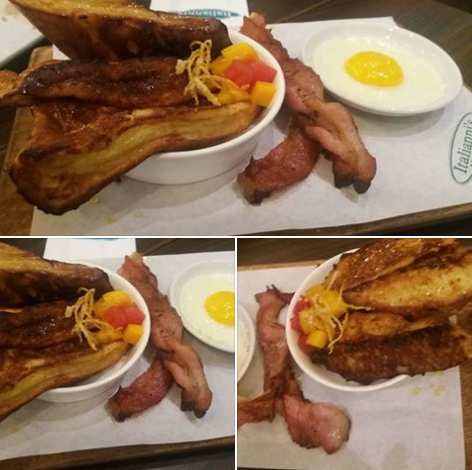 Catch Italianni's exciting and new Breakfast Creations at BGC and Greenbelt branches from 7:00 to 10:30 AM daily.